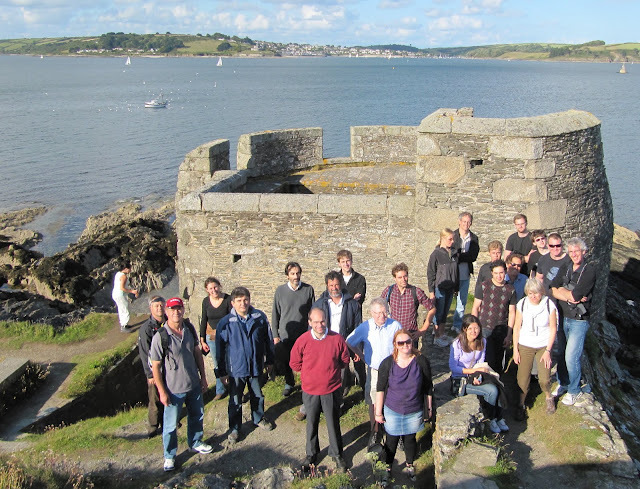 For anyone with an interest in biohydrometallurgy, Falmouth is the place to be in June. The technical programme for Biohydromet '12 has now been published, and contains papers from authors from 22 countries, including three keynote lectures reviewing the state of the art of biohydrometallurgy in the minerals industry. The conference will provide delegates with the opportunity of learning about progress in this field, and also to network with a truly international audience. The conference dinner will be at Cornwall's iconic Eden Project. We are also pleased to announce that ProMine, a research project co-funded by the European Community's 7th Framework Programme has agreed to provide major corporate support for the conference. Cape Town is now established as MEI's major conference venue. 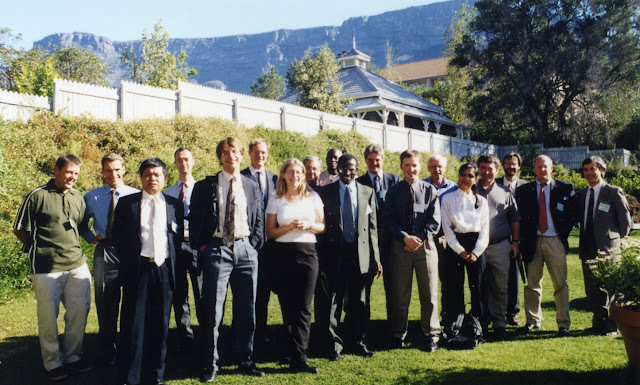 The first MEI conference in Cape Town was Minerals Engineering 2000, attended by 125 delegates at the Mount Nelson Hotel. The Mount Nelson was our favoured venue for six years, until we discovered the magnificent Vineyard Hotel, which was first used for Flotation '07. It has come as no great surprise to us that Tripadvisor has named Cape Town as the best destination in the world, beating Australia's Sydney into the second spot, with Machu Picchu coming in third, Paris in fourth and Rio de Janeiro in fifth, while London picked up eighth position. Table Mountain and Robben Island were named as Cape Town highlights in the awards, based on millions of user reviews. The city has seen a massive boost in tourism numbers over the last couple of months, with The V&A Waterfront seeing more than three million visitors during December, Table Mountain Aerial Cableway attracting more than 100,000 visitors throughout the past month, and the City Sightseeing Bus running at full capacity during December. 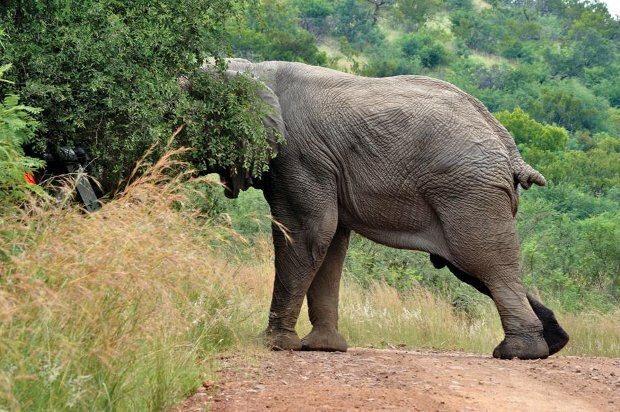 So if you are attending one of our 4 conferences in Cape Town this year, do try to set aside some time before or after the event for some serious sight-seeing. It really is a wonderful location- almost as good as Cornwall!! From 1956 the price of tin had been regulated by a series of international agreements between producers and customers under the auspices of the International Tin Council (ITC), which mirrored the highly successful policy of De Beers in controlling the gem diamond trade. Price stability was sought through selling from the ITC’s huge stockpiles when the price rose and buying into the stockpile when the price fell. From the mid-1970s, however, the price of tin was driven artificially higher at a time of world recession, expanding production and falling consumption, and in October 1985 the buffer stock manager announced that the ITC could no longer finance the purchase of tin to prop up the price, as it had run out of funds, owing millions of pounds to the LME traders. This announcement caused near panic, the tin price fell drastically and the LME halted all further dealings. 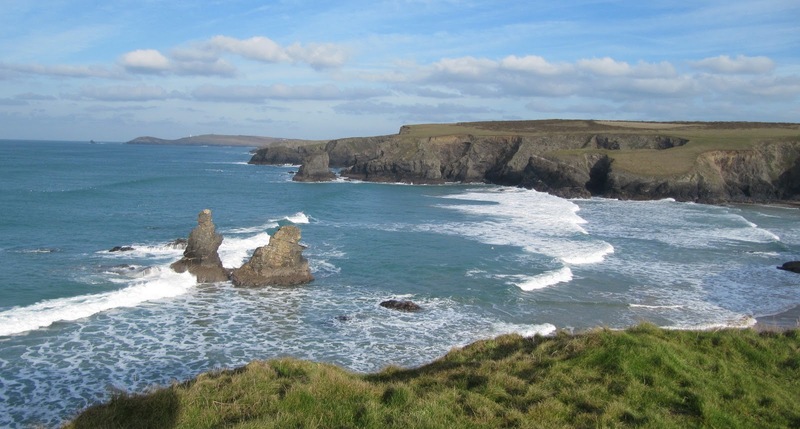 In 1986 many of the world’s tin mines, including the once thriving Cornish operations, were forced to close down due to the depressed tin price, and prices continued to fall in subsequent years. 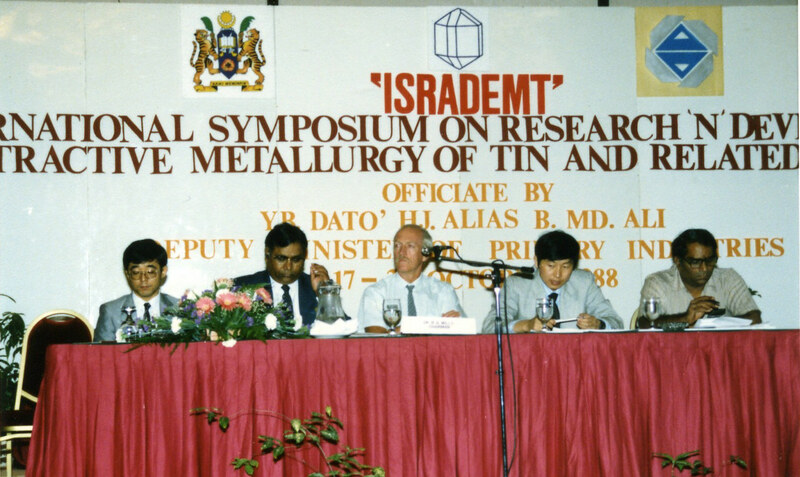 In October 1988, the International Symposium on Research and Development in Extractive Metallurgy of Tin and Related Metals (ISRADEMT) was held in the tin mining town of Ipoh in Malaysia, to look for ways forward for the industry. I presented a paper showing how tin operations must seek to diversify, something which is still being attempted at South Crofty, the last of the Cornish tin mines to close. Although it was a very enjoyable conference, I have doubts that it achieved a great deal. The tin industry never really recovered from the 1985 crash, and only the huge alluvial dredging operations, with very low operating costs per tonne, managed to survive. 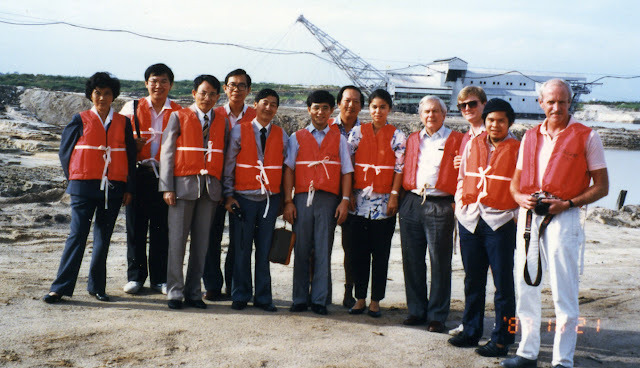 Below I am with conference delegates visiting the giant tin dredge at the Malaysian Mining Corporation, Ipoh. One of the great attractions of coming out to Cape Town for an MEI Conference is not just the quality of the technical programmes, but the opportunity that it gives delegates to explore the southern part of this enormous and fascinating continent. 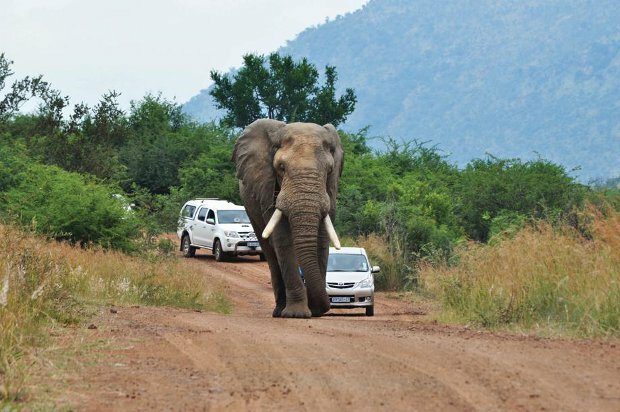 Apart from the wonderful scenery, viewing the unique wildlife is on most agendas and there are many exciting venues in which to do this, including the huge National Parks, such as Kruger. There are also many smaller and less known game reserves, such as the excellent Aquila, only a day’s excursion from Cape Town. Of the “big five” most people aim to see elephant and lion and a first time glimpse of these magnificent beasts in the wild is a truly awesome experience. 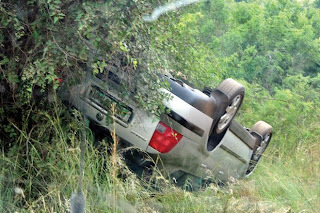 Sometimes you may be lucky to get up close, as we were during our trip to the conference in Phalaborwa last July. But it can be good not to get too close, as I was discussing with Joe Felix of CiDRA, during last year’s Flotation ’11 in Cape Town. 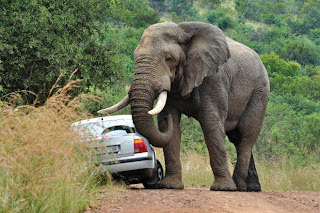 Respecting the wildlife and obeying the Park rules is essential, and Joe sent me these amazing pictures of a tourist’s encounter with a rather large elephant in, he thinks, Pilansberg game reserve, located not far from Johannesburg. The elephants at Pilansberg are notorious for attacking and killing rhinos. 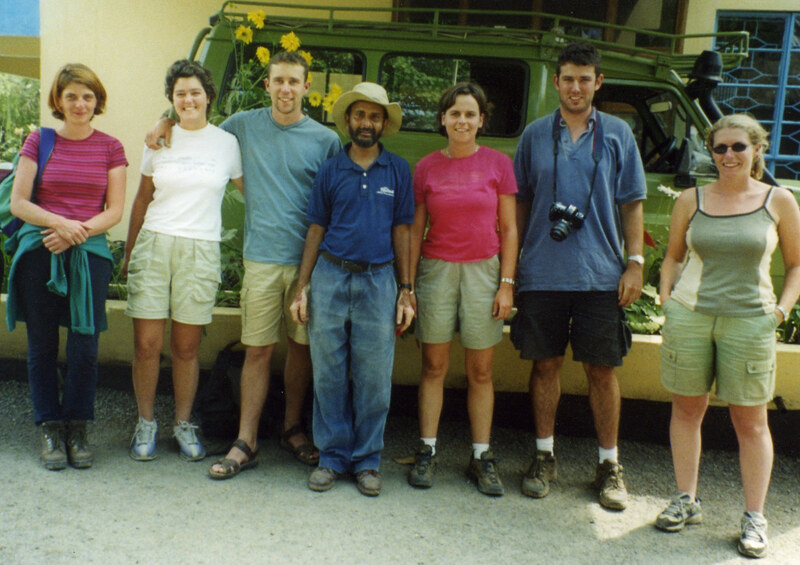 In 2001 I went on a budget safari trip in Tanzania, taking in the Serengeti and Ngorogoro Crater. On the first night in the Serengeti, the small group that I was travelling with sat around a small fire, drinking beer and getting to know each other. Eventually, it was time to call it a night and we headed into our respective tents. As the only single person on the trip, I headed off alone, thinking how lucky it was that I didn't have to share with a stranger. That thought didn't last long. As we abandoned the glowing embers of our fire, in moved the lions, presumably to take advantage of its warmth. It was mating season, and the only thought that got me through the long night ahead was that our guide, Mustapha, had told us that lions do not eat during the mating period. 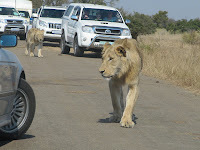 All night we were treated to the sounds of two lions mating just outside our tents. Whilst the act itself appeared to be short and sweet, there were many repeat performances, and at the end of each the lion let out a mighty roar which resonated through my whole body, not unlike the feeling you get if you stand next to a massive speaker at a rock concert. This was bad enough, especially as I really needed to get rid of some of that beer, but then the happy couple decided they needed a rest.... and flopped down against the side of my tent... the side my bed was on! 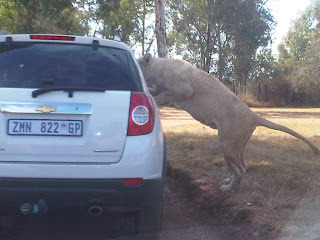 I swear, that lion was no more than half a foot from me, so close that I could hear him breathing. 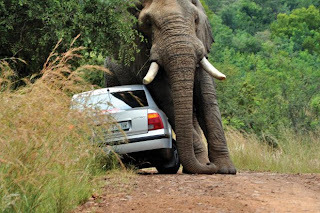 Something I wasn't doing! It was the longest night of my life. I was too afraid to move, as my sleeping bag rustled loudly with every small twitch, and I spent the night planning my defence. This mainly consisted of spraying deodorant in his eyes and whacking him with my hair brush. Ha! Finally, finally, the sun came up and I tentatively unzipped my tent and poked my head out. The rest of my group were huddled on the far side of the campsite, frantically waving at me to join them. I ran across, and Mustapha pointed back across to my tent, where, just behind it, we could clearly see the lioness resting in the shade of some trees. He wasn't worried though and cheerfully repeated his assertion that we were safe because they were only interested in mating. 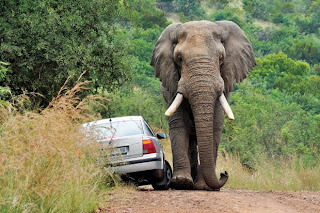 One of the group asked Mustapha, “but if anything had of happened, you'd have shot the lion yes?”, to which he replied, “oh no, no, no, no, no. 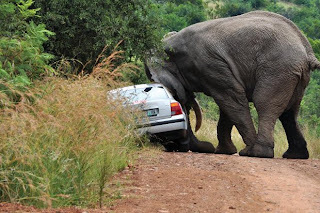 I do not have a gun, it is not allowed in the National Park”. What?!? If anyone can beat that story, or if you have other interesting encounters with wildlife, please let us know. 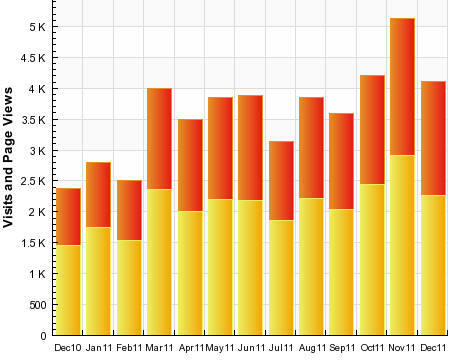 The MEI blog is increasing in popularity, with 3000 visitors and over 5000 page views recorded in November. But which blog posting has had the most page views? We are offering a free registration to any 2 or 3-day MEI Conference to the first person to guess correctly. Submit your guess to me by email (bwills@min-eng.com) by the end of the month (no multiple submissions please). As soon as the first correct entry is received, I will announce the winner on the blog. 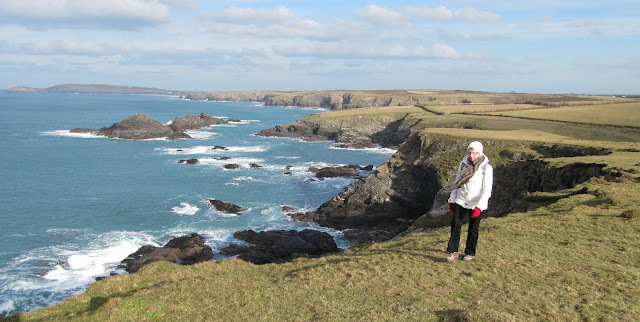 We drove over to the north coast of Cornwall today, to Porthcothan, only 35 miles from Falmouth. From here there is an easy, but beautiful, 3 and a half mile walk westwards to Carnewas. 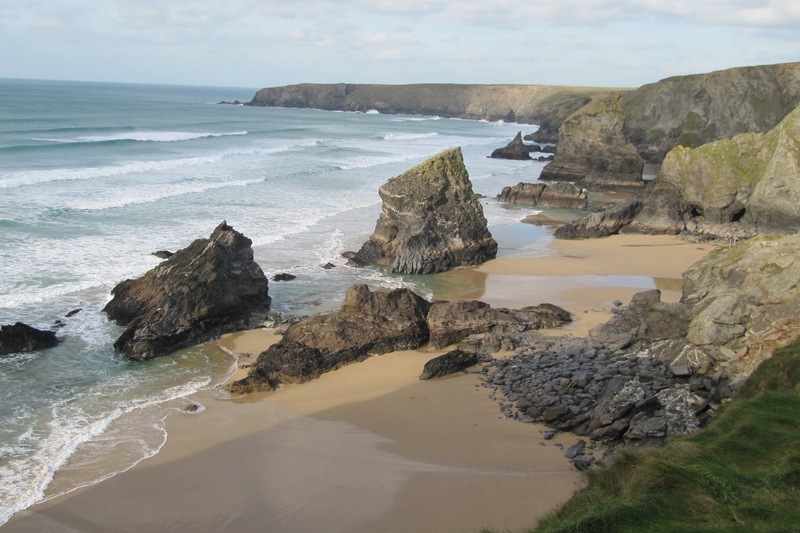 This is real slate country, and the pounding of the cliffs has eroded this friable rock to produce many rocky inlets and outcrops, none more spectacular than the Bedruthan steps, a sequence of large rock islands, which, according to legend, were used as stepping stones for the giant Bedruthan. Carnewas was a hive of activity in the 19th century, with miners tunnelling into the cliffs from the beach in search of iron, copper and lead. The National Trust office was once the count house for the mines, and the excellent tea rooms are converted mine buildings. 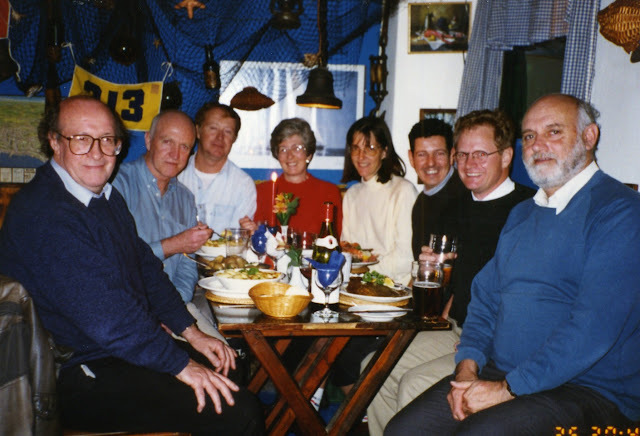 With Biohydromet ’12 only 5 months away, here is a photo taken at the first biohydrometallurgy conference to be held in Falmouth, Biotec ’96. Sue is one of our consultants for Biohydromet ’12, and will also be presenting one of the three keynote lectures. The technical programme will be drafted at the end of the month, so there is still time to submit an abstract. The National Metallurgical Laboratory in Jamshedpur celebrated its 60 years of existence by publishing a magnificent fully illustrated book in color documenting its creation in 1950 and its activities through the years. The choice of the phrase, “marriage of science and industry” was inspired by Pandit Jawaherlal Nehru’s mention to it in his inaugural address at the Laboratory on November 26, 1950. The Laboratory was created after Indian independence for providing the country with one of a network of research institutes capable of taking the country forward in science and technology. 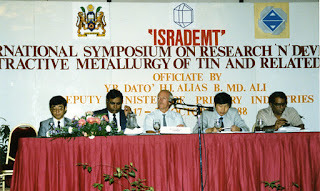 The establishment of the laboratory was generously supported by Tata Industries Ltd., Sir Ratan Tata Trust, and Sardar Bahadur Sir Indra Singh of Indian Steel and Wire Products Company. The book starts with a short introduction of iron and steel making in India since the second century BC, the mention of the Iron Pillar of Delhi made of 6 tons of iron, and the Damascus swords made of Wootz steel. In this connection I would add a statement mentioned in the book Geschichte des Eisens by Otto Johannsen, the authoritative historian of iron metallurgy, that “The Indians were the only non-European people who manufactured heavy forged pieces (of iron), and the pieces were of size that European smith did not learn to make until more than one thousand years later” [the German text: “Die Hindu sind das einzige nichteuropaische volk, des schwere Schmiedestucke hergestellt hat, und zwar Stücke von einer Grosse, wie man sie in Europa erst mehr als ein Jahartausand später zu Schmieden verstand” (p. 16), third edition published in 1953]. Further, Indian metal workers were the first to produce metallic zinc around 1200 AD. From India, zinc manufacture moved to China around 1600 AD and from there to Europe in the 18th century. The editors have brilliantly related the history of the Laboratory through photographs, summaries of research projects successfully conducted, and documents covering these activities. Can anyone suggest recent papers reviewing the state of the art and future of the processing of nickel laterite ores? 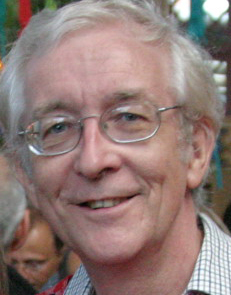 MEI would like to congratulate Prof. Tim Napier-Munn, the recipient of the President's Award in the 2011 AusIMM Awards. Tim, a former Director of Australia's JKMRC, has had much involvement with MEI over the years. He is currently on the Editorial Board of Minerals Engineering, and was my co-author for the 7th edition of Mineral Processing Technology. He is writing a book at the moment on statistics for metallurgists. The AusIMM award is not Tim's first major institute award. In 2009 he was awarded the Futers Gold Medal of the Institute of Materials, Minerals and Mining. I am pleased to announce that MEI's LinkedIn group Minerals Engineers welcomed its 2000th member today. This has become a very dynamic group, with many active discussions, so well worth joining if you have not already done so. 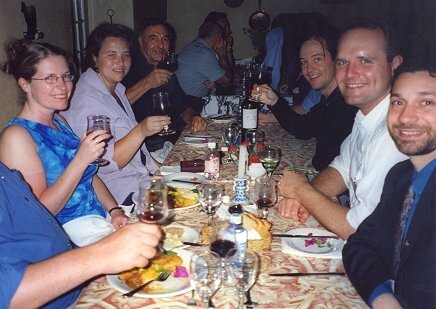 This week's photos were taken during MEI's 1st Pyrometallurgy conference in Cape Town in 2002. 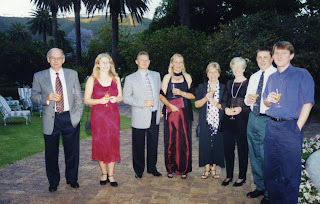 The conference dinner was held at the Groot Constantia wine estate, South Africa's oldest wine farm, situated at the foot of Table Mountain. Second right in the top picture is Jacques Eksteen, who has attended all three of our pyrometallurgy conferences and is acting as consultant to the 4th, Pyromet '12, which will be held in Falmouth in June. He will also present the keynote lecture at this event. 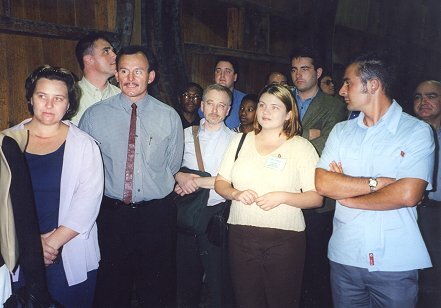 The photo above right is of Pyromet '02 delegates touring the impressive wine cellars at Groot Constantia. It has long been recognized that thermophilic, iron- and sulfur-oxidizing microorganisms can efficiently oxidize mineral sulfides at 65°C-85°C. They may be active in some ore leaching heaps or dumps at elevated temperatures but they have not yet found premeditated application in commercial mineral processing at these temperatures. One of the questions in potential process development is the choice of microbial culture. The first thermophiles with potential for mineral sulfide processing at temperatures above 65°C were revealed during the mid 1960s in the USA, and later renamed as Acidianus species. The first demonstrations of rapid processing of copper concentrates were made with Sulfolobus metallicus at about 70°C in the early 1980s and more efficient leaching at higher temperature (about 80°C) was demonstrated in the early 1990s at Warwick University (UK) with species which remain un-named. These un-named strains were tested in continuous leaching of copper concentrates in the mid to late 1990s and used at pilot scale in the HIOX process at BRGM (France) and in the BioCOPTM Process at BHP Billiton (South Africa), the latter process reaching a commercial scale demonstration with Alliance Copper Ltd. in Chile in 2003. Meanwhile, concentrate processing with thermophiles had also been developed by Mintek (South Africa) and continued with pilot scale work through the EU BioMinE project up to 2008 using cultures dominated by Acidianus species at 70°C. 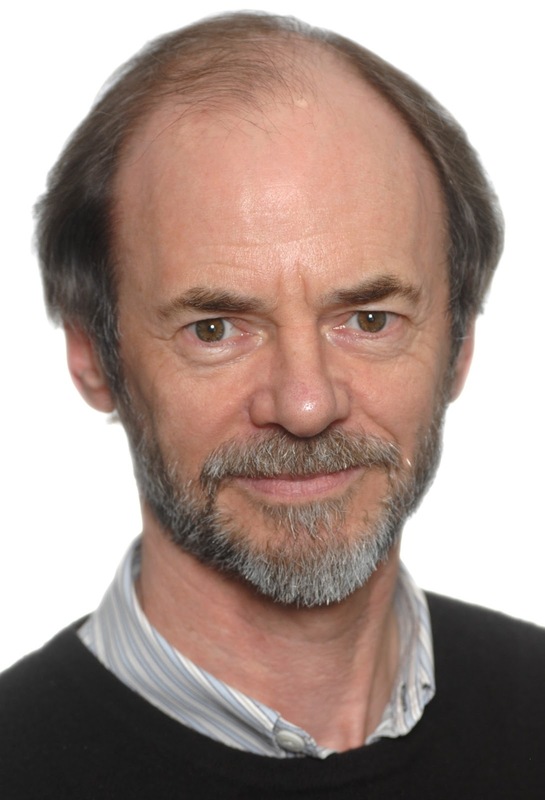 With this background availability of a variety of thermophiles, MEI is pleased to announce that Dr. Paul Norris, of the University of Warwick, UK, will review the characteristics of several different cultures in a keynote lecture at Biohydrometallurgy ’12 in Falmouth in June. He will consider two aspects: the past developments with bioreactors; and ore heap leaching, where high temperature would be desirable (for chalcopyrite dissolution) or is inevitable (because of the rate of exothermic mineral sulfide oxidation, such as with the Talvivaara operation in Finland). The Talvivaara operation, the first commercial bioleaching operation in Europe, is the subject of another keynote lecture by Marja Riekkola-Vanhanen, who is the Senior Technology Adviser for the Talvivaara Mining Company, Finland. The problems associated with maintaining a well functioning heap will be discussed in the third keynote, to be presented by Prof. Sue Harrison of the University of Cape Town, South Africa. The technical programme for this conference will be drafted later this month, so it is not too late to submit an abstract. Will the minerals industry continue to prosper and grow in 2012? This time last year I reported that soaring metal prices had provided a fine start to the New Year, with the promise of increased confidence in the minerals industry. It's is a slightly different story today, with the prices of all non-ferrous metals, apart from gold, which continues to increase, having fallen between 20 and 25% of their values 12 months ago. Although China and India continue to drive demand, the European debt crisis has had a big influence on global economic growth and there are no signs that this will change in the near future. The good news, of course, is that all metal prices are substantially higher than they were 3 years ago, copper and gold being double their January 2009 values. So what will be the big issues influencing the minerals industry this year? Reduction in energy consumption, whether to cut carbon emissions or merely to reduce costs, will continue to be a dominant factor in mineral processing, particularly in comminution, the highest energy consumer. This will play a major role in discussions in April’s Comminution ’12, where the first paper in the technical sessions deals with developments in eco-efficient comminution, and the role of the newly formed Coalition for Eco-Efficient Comminution (CEEC), whose mission is to market and raise awareness of relevant research and alternative comminution strategies with the objective of achieving lower process costs and further energy efficiencies in the mining sector. But will all this be thwarted by Iran’s acquisition of nuclear weapons, leading to increased sanctions from the West, and a possible closing of the Straits of Hormuz by Iran, which could ignite the world’s most combustible region, and send oil prices soaring? It is going to be an interesting year and probably totally unpredictable at this stage, but it would be interesting to have views on what you think are the major factors which will influence stability in the minerals industry in the coming months. We hope to see as many of you as possible at one or more of the 10 MEI Conferences planned for 2012 and 2013, the list of which, from Comminution '12 to Flotation '13, has now been published. The conferences offer something for all, at our two stunning venues, Cape Town's Vineyard Hotel, and the Falmouth Beach Hotel in Cornwall. All papers from the conferences are considered for special issues of Minerals Engineering, and the conferences provide exceptional opportunities for networking and corporate sponsorship.